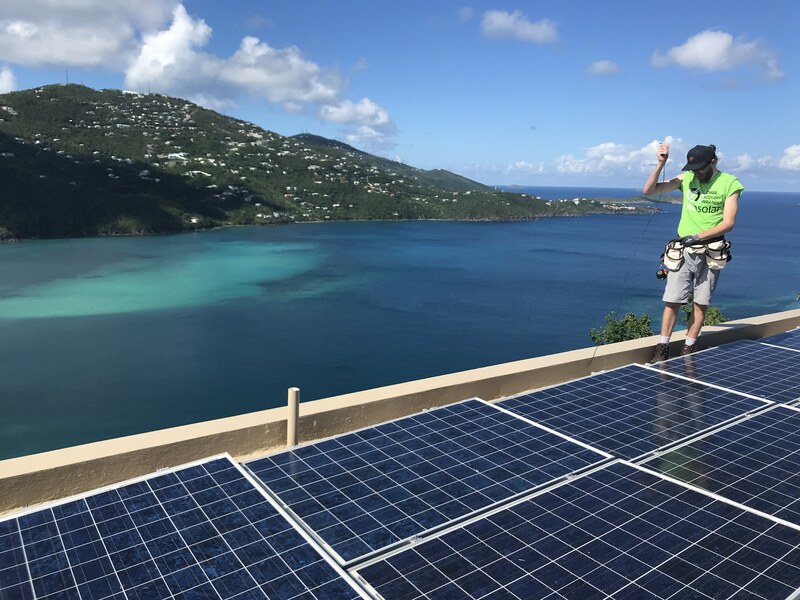 Last November, co-founder, Shane Nolan and the Plug PV team went down to St. Thomas, St Croix, St. John, and Water Island to help rebuild the disaster of Hurricane Irma. 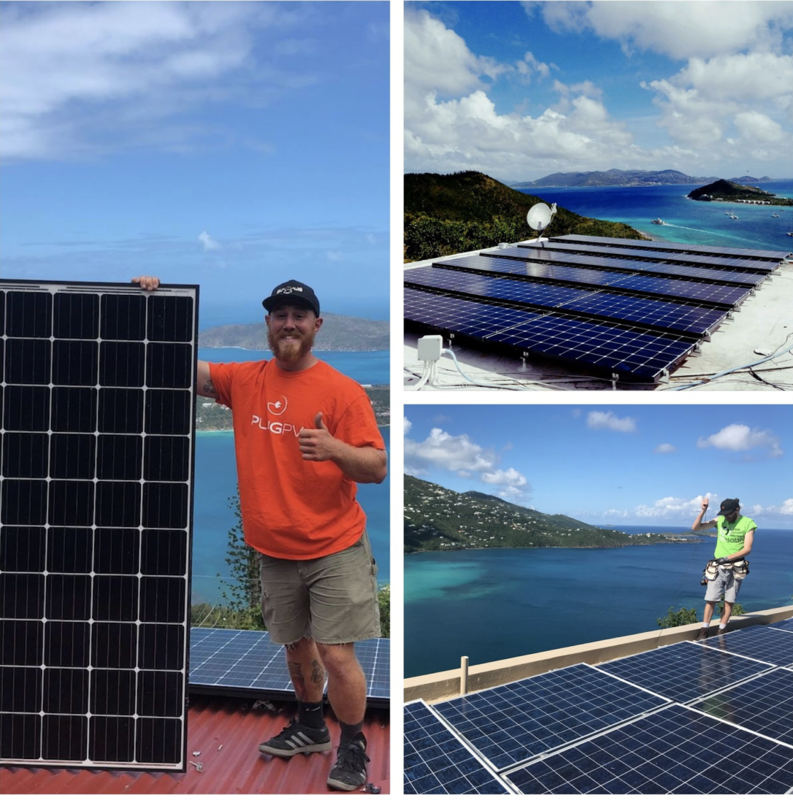 Plug PV partnered with ProSolar to install up to 20 Tesla Powerwall’s a week throughout USVI. How did you come across the opportunity to help? I use to work on Sailboats down in the USVI for several years. That’s where I developed a great network of friends and a love for the islands. When the hurricane hit, and I saw all my friends lose their homes, cars, and jobs, and I wanted to find a way to help. I figured using my solar and battery storage knowledge, I could help decrease the timeframe that the islands were out of electricity; an essential thing we take for granted in our day to day lives. I reached out to a couple friends at ProSolar Systems that are based in the USVI to see if I could offer help. The had a very positive outlook but were completely overwhelmed with the task that laid ahead to address the grid issues. They just did not have the manpower. That is when I saw the opportunity to use my expertise and manpower from New York to help out anyway we could. We started planning the logistics and operational approach to help get entire islands back to a quality of life they were use to. How long were you and the team there for? A project manager and myself flew down in November once the St. Thomas airport was operating again. We started to assess all the damage first hand and began communicating with homeowners with a timeline on when they could get their solar systems rebuilt. As the demand continued to grow, we flew PlugPV crews down in January to continue retrofitting, rebuilding, and installing new Solar Systems and Tesla Powerwall’s. We were down there through March 2018. The experience was humbling and amazing at the same time. It was great to see everyone going through such hardship have such positive spirits on the island. Though the island was destroyed, with electric lines still scattered all around the roads and no grid power, it gave a glimpse into the future. ProSolar’s offices were powered by solar, battery storage, and the vehicles they provided were Electric Vehicles. So, our carbon footprint was 0 from a work standpoint. As we rebuilt systems and provided battery storage, these people became completely self-sustainable and did not have to rely on the grid anymore. Some homeowners had been with no power for months. After a day’s install of solar and battery storage, homeowners would literally start crying because with a flip of a switch they could enter back into a lifestyle they were used to. 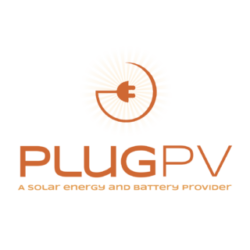 What were PlugPV and Pro Solar able to accomplish? We have a great partnership. ProSolar was welcoming, and it will definitely be a friendship that lasts a lifetime. Together we were able to install hundreds of powerwall’s and solar systems. When we were down there we were the #1 purchaser of Tesla Powerwall’s in the country. They are continuing their efforts in several of the surrounding islands outside the USVI to this day. What was the biggest impact you had on the community? I think we helped people get back to their normal day to day life much quicker than the utility provider was able to. I think it also resonated with the community on being self-sustainable not only in the energy sector but in every aspect of life. 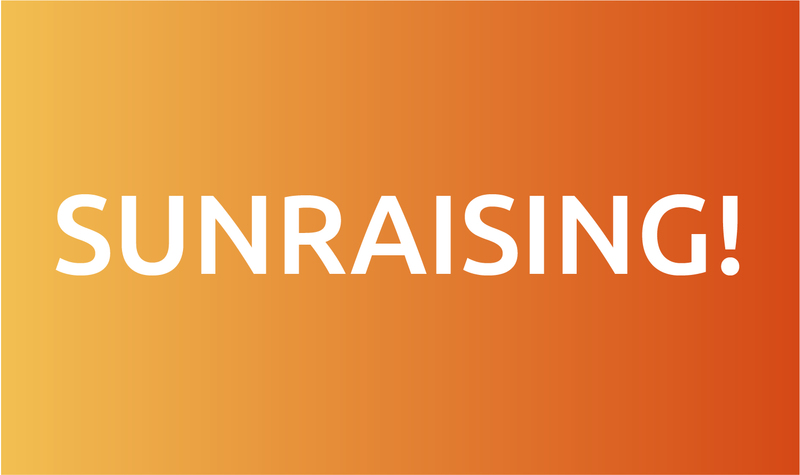 ProSolar continues to run campaigns on educating the public on the benefits on many green initiatives outside solar. This mentality will have an impact for generations to come. Do you and the team plan on going back? Yes. We have had many people start reaching out from companies throughout the area to help out. I speak with the ProSolar Team on a weekly basis and we plan on going back to continue our efforts into 2019. I think we have actually spoiled some of our installers last time around with the weather down there. One decided to not come back, and move down to USVI full time. Not a bad idea. Stay tuned for more updates from PlugPV. If you would like more information on this topic, please call PlugPV at 518-948-5315, or email Hello@PlugPV.com.